Nancy Konjo is responsible for assisting with the overall office operations and fundraising/development. Prior to joining The Sentencing Project, she worked as an Administrative Assistant with various non-profits in the DC metropolitan area. Before that, she was an Aim Higher Fellow, which helped with improving foster care programs for young people. 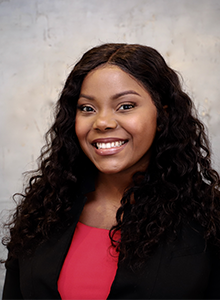 Konjo received her undergraduate degree from Washington Adventist University (MD) and is in the process of obtaining her Masters of Theological Studies from Wesley Theological Seminary, Washington, DC.